The glory of Gatsby style wrapped up in the most gorgeous of greens, this Scalloped Flapper Dress is a Gatsby god-send and we are not sending it back! Check out those incredible bat-wing style sleeves with sheer and sequinned sections making a stunning 1920s dress with a tough, clean overhaul. 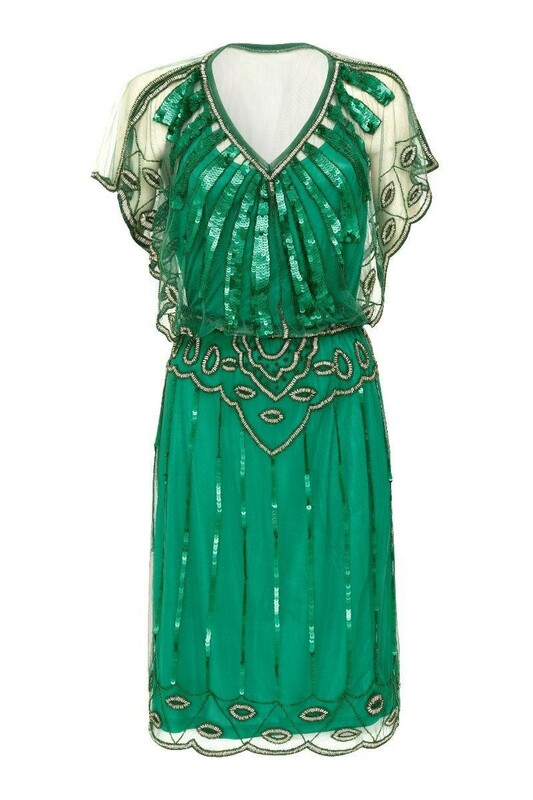 If you are scouting for a green bridesmaid dress with a vintage feel then you are unlikely to find one that gives more character and charm than this bold emerald flapper dress! Perfect for weddings guests and vintage inspired events, this glam, glimmering gown will have you stealing everyone's style thunder, and rightly so. - Bold green sequinned 1920s dress. - Scalloped hemline with sequinned fan detail (just the best dressed). 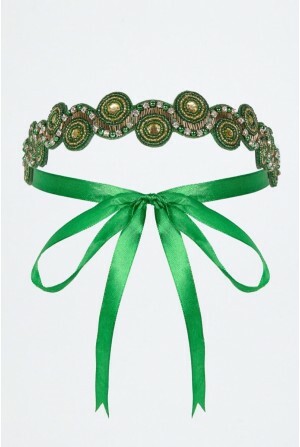 - Stunning gold sequinned waist band decoration (ornate awesomeness). - Cape sleeves with wide scallop edging and linear sequinned detail (flapper fabulous with impressive wing span! ).